Following claims of sexual misconduct, including from Democratic candidate, PM's spokesman takes leave to fight accusations. 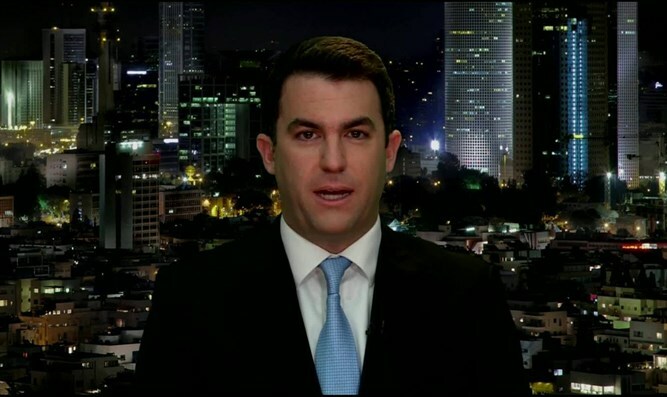 An aide to Israeli Prime Minister Binyamin Netanyahu is taking a leave of absence, following accusations of sexual misconduct. Earlier this week, Julia Salazar, a 27-year-old Democratic candidate for the New York State Senate, accused David Keyes, a spokesman for Prime Minister Netanyahu, of sexually assaulting her years ago. “I’ve been informed that a story is about to run which identifies me as a victim of sexual assault. Before this runs, I want to come forward and confirm that I was a victim of sexual assault by David Keyes—the Prime Minister of Israel’s spokesperson to foreign media,” Salazar wrote. Keyes, 34, denied the accusations: "The false accusations were made by one who has been proven to have lied about her life." He had to pass a polygraph test in which he stated that he had never harmed a woman before assuming the role as the prime minister's Media Advisor. Salazar had previously made the same accusations against Keyes in Facebook posts she wrote two years ago but later deleted. The candidate has been dogged by accusations that she has lied about her heritage, claiming to be of Jewish descent and an immigrant when she was neither. On Thursday, Keyes said in a statement that he was taking “time off” from his position to clear his name. The Prime Minister’s Office confirmed that it had agreed to Keyes’ request for an absence.